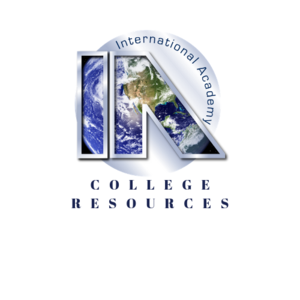 The Lambert S. Okma International Academy is a public, tuition free, high school of choice for students of 10 Oakland County school districts collaborating in consortium with university and business partners. Commencing with ninth grade, it provides a unique blend of rigorous academic standards and a practical, career-related education throughout the 190-day school year. Featuring the world-recognized International Baccalaureate as the centerpiece of its curriculum, it concentrates on preparing students for success past secondary education and the world beyond. The International Academy opened its doors in August, 1996, and graduated its first diploma candidates in May, 2000. In 2009, the International Academy was renamed The Lambert S. Okma International Academy to honor the founder and first principal, Lambert S. Okma. 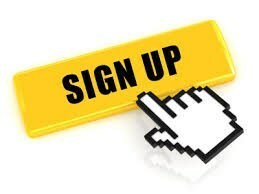 See the Prospective Students page for specific enrollment details. Lynne Gibson began serving as principal of the International Academy’s three campuses in 2009. With over fifteen years of educational experience, she has served as International Baccalaureate coordinator, assistant principal and counselor at the IA, and also taught middle school and high school English in the Bloomfield Hills School District. Her interest in creating a support network for educators involved with all levels of the IB program led to her involvement with and creation of the regional IB association of Michigan (IBSOM), and currently serves as the president. As a site visitor and consultant for the IBO, Ms. Gibson travels nationally to high schools to help facilitate the IB authorization process. Ms. Gibson has also served as a guest instructor in the IB Certificate in Teaching and Learning at Oakland University, teaching courses on internationalism. She holds a Bachelor of Arts from Michigan State University, a Master of Arts in school counseling and an Education Specialist in educational leadership, both from Oakland University. Ms. Gibson is dedicated to the highest standards of academic achievement for all students and makes it her daily work to ensure students have the support they need to achieve those standards. Dr. Christopher Smith began serving as the associate principal at the International Academy Okma Campus in 2012. Prior to joining the International Academy Mr. Smith worked at Okemos High School for nine years where he taught students history and economics as well as serving as the social studies department chair. Dr. Smith earned his Bachelor of Arts at Michigan State University in International Studies and Economics. During his time at MSU Dr. Smith tutored, mentored, and coached students from MSU and the surrounding community. These experiences fostered his passion for education which led him to pursue a Master of Arts in Secondary education from the University of Michigan which he earned in 2003. In 2016, Dr. Smith earned his doctoral degree in K-12 Educational Administration through Michigan State University. Throughout his career Dr. Smith has participated in numerous professional development opportunities. Most notably in 2007 Dr. Smith traveled to South Africa for a month long Fulbright Group Project Abroad where he studied the political, social, and economic development of South Africa in the post-Apartheid era. In 2008, Dr. Smith was chosen to be one of 24 fellows in the Michigan Political Leadership Program (MPLP) which strives to develop future political and public policy leaders in Michigan. Dr. Smith enjoys working in the International Academy’s smaller environment where he believes students can get the individual attention they need to be successful. Ms. Sarah Fairman began serving as the International Baccalaureate coordinator for the International Academy in July 2012. As the IB coordinator, Ms. Fairman works with teachers and students in both the Middle Years and Diploma Programs on all three campuses of the IA. Prior to joining the International Academy, she served as the IB coordinator for Norup International School in the Berkley School District. Ms. Fairman earned a Bachelor of Arts in American Public Affairs-Metropolitan Studies from James Madison College at Michigan State University, a Bachelor of Arts in education from Eastern Michigan University and a Masters of Arts in Middle Level Curriculum and Instruction from Walden University. Ms. Fairman is currently attending Michigan State University’s administrative pathways program at the master’s level. During her fifteen years in education, Ms. Fairman has participated in a variety of educational positions including classroom teacher, IB coordinator and assistant principal. Through her involvement with the International Baccalaureate, Ms. Fairman has served as a school evaluator, workshop leader and school consultant working with schools throughout North America. Additionally, Ms. Fairman is a founding member of IB Schools of Michigan (IBSOM) and is currently serving on the board as secretary. OK2SAY is a program designed to share and respond to student safety threats. Free ACT and SAT practice tests offered by the Princeton Review at IA in May. UK Universities visiting April 23. Announcing: International Food Night on May 3 from 6-8 in the ISC! 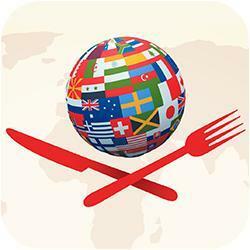 We are proud to be hosting our annual International Food Night.